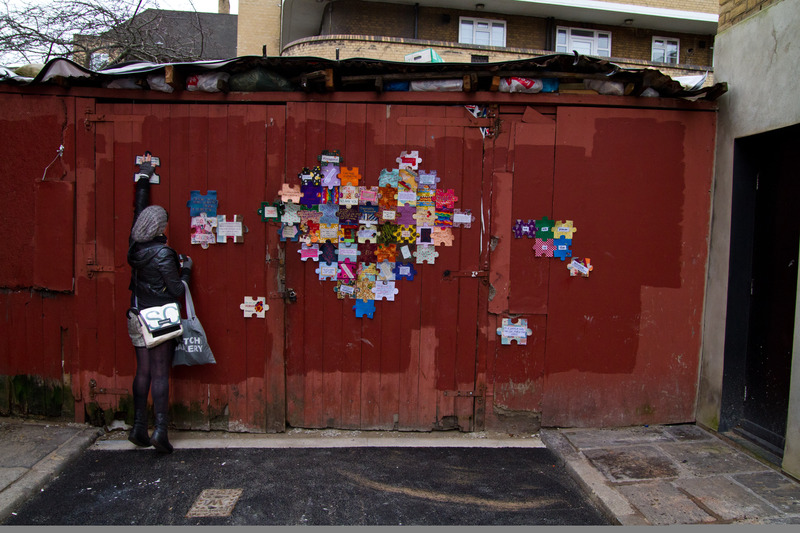 Thanks to craftivistas across the UK the Craftivist Jigsaw project has collected more than 700 jigsaw pieces so far. The project has been exhibited in Manchester (see video below) and is now on tour. We are hoping to confirm a London gallery ASAP for April and then the next stop is already confirmed and is in …. Northern Ireland! [youtube http://www.youtube.com/watch?v=OKiRbrLPgw8?list=UUJ7gYHuTyKF0FPvyRpD_hxw]From Thursday 9th May to Saturday 1st June there will be over 700 Craftivist Jigsaw pieces on display as an installation at The Ulster Hall, Linenhall Street, Belfast. Check out the Facebook event for more info. 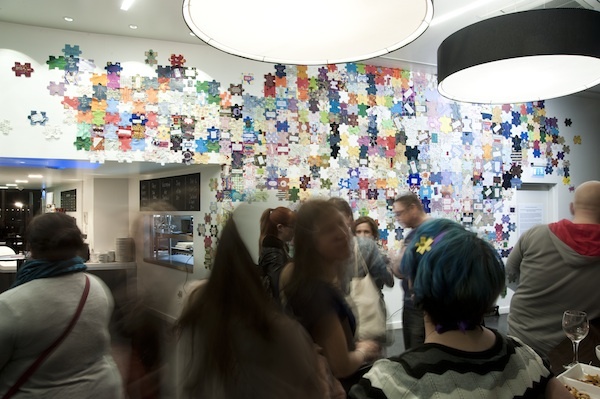 Northern Ireland Craftivists Lucie Corcoran & Kirsty McGuiness have been organising this installation and have been working with fellow Northern Ireland craftsters and community groups and produced over a 100 jigsaws to add to this growing installation. The Craftivist Collective and Save The Children feel this is not a quick fix solution to hunger and encourages you to keep campaigning throughout the year. Pick up your Jigsaw kits at this exhibition and lobby your MP too. go to our #imapiece project website for all templates and guides. .